Barbara Wells, a regular reader, recently asked me if I would like some antique blocks that she had been saving for a number of years. Of course I wanted them! And what great blocks they are! Thank you so much Barbara!! They came a few days ago and I got the chance to take some pictures today. 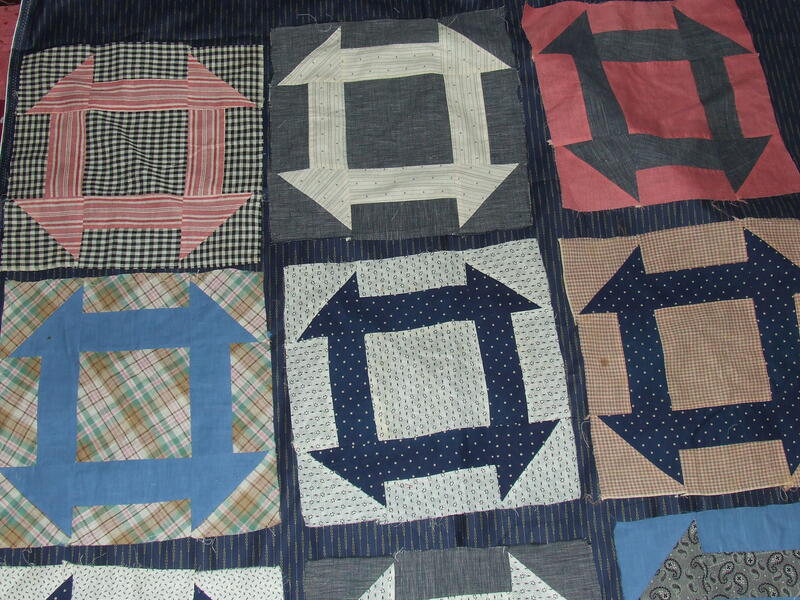 Also included with the blocks was the beautiful blue fabric that the blocks are shown on here. 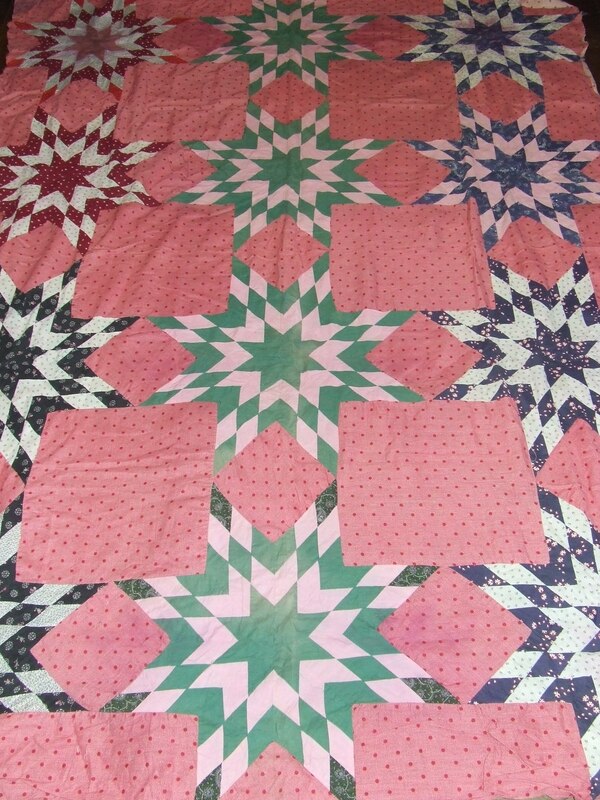 These blocks are in such great shape and will make a beautiful quilt!…thanks again Barbara….check back for progress. 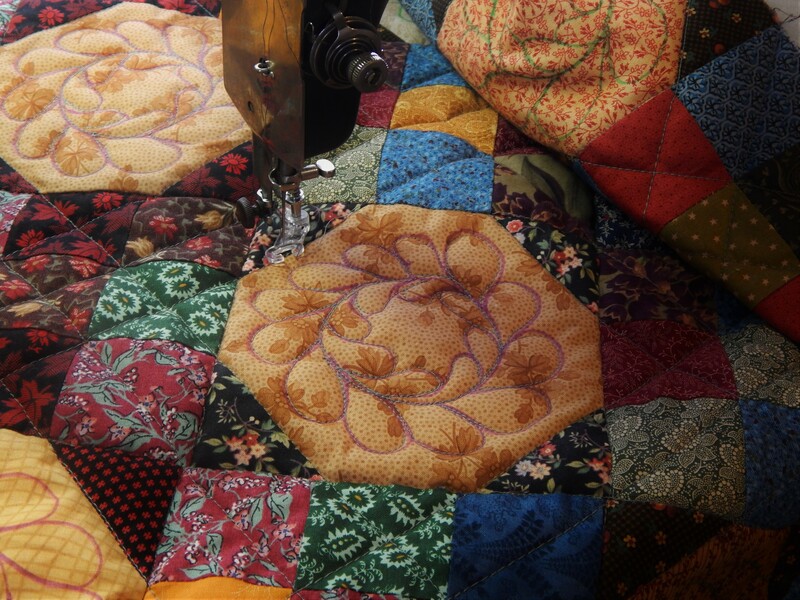 It is a beautiful quilt top…I think about 1900 or so. The problem with this one is the color bleeding. 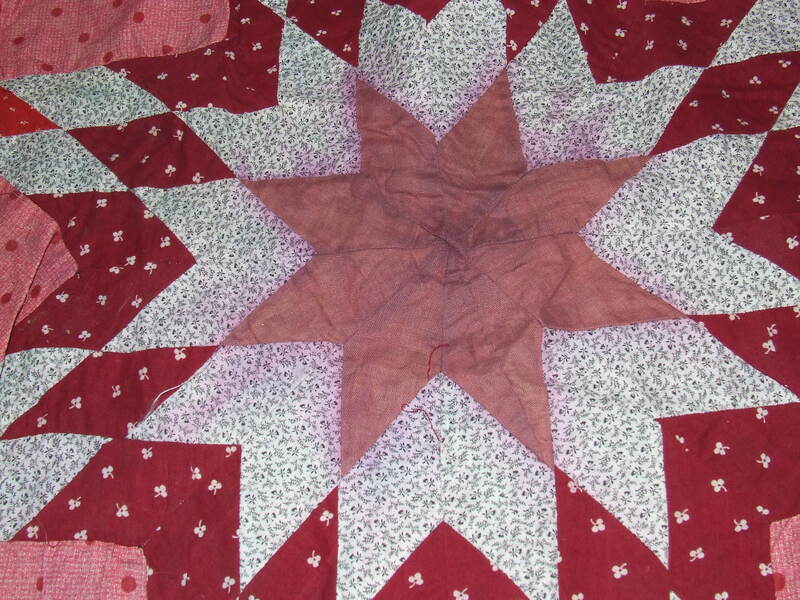 I normally do not wash antique tops before I quilt them. 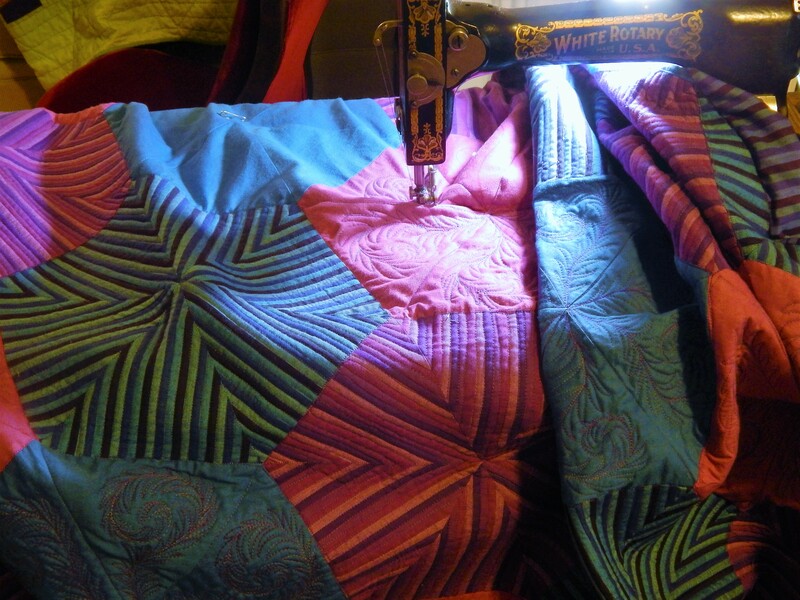 I believe that the quilting actually strengthens the fabric. 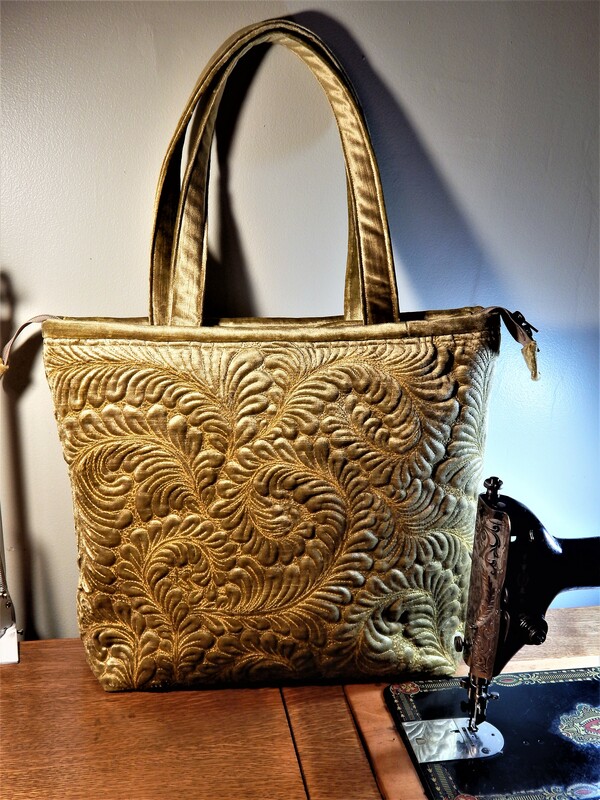 The more delicate antique fabric is attached to the new backing and batting….making it stronger and able to stand up to the washing machine. 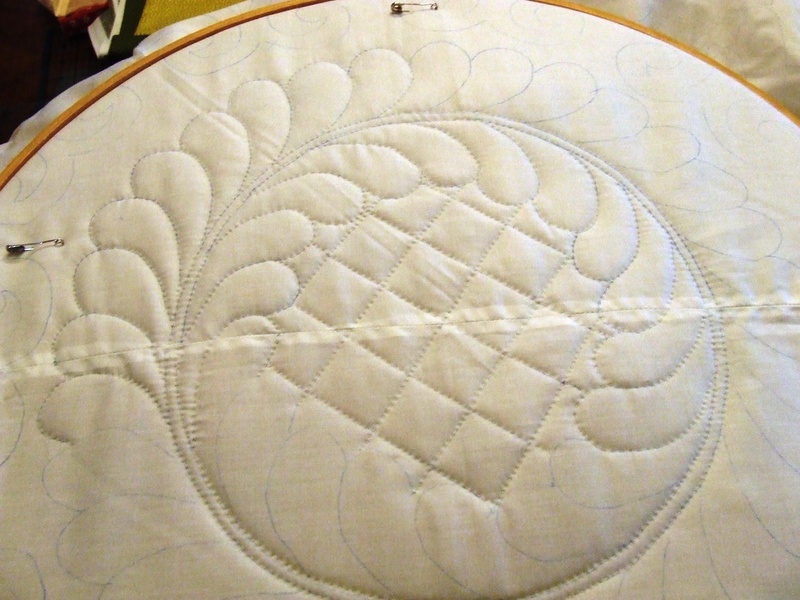 In this case I think I will soak it and try to get most of the bleeding removed and then quilt. 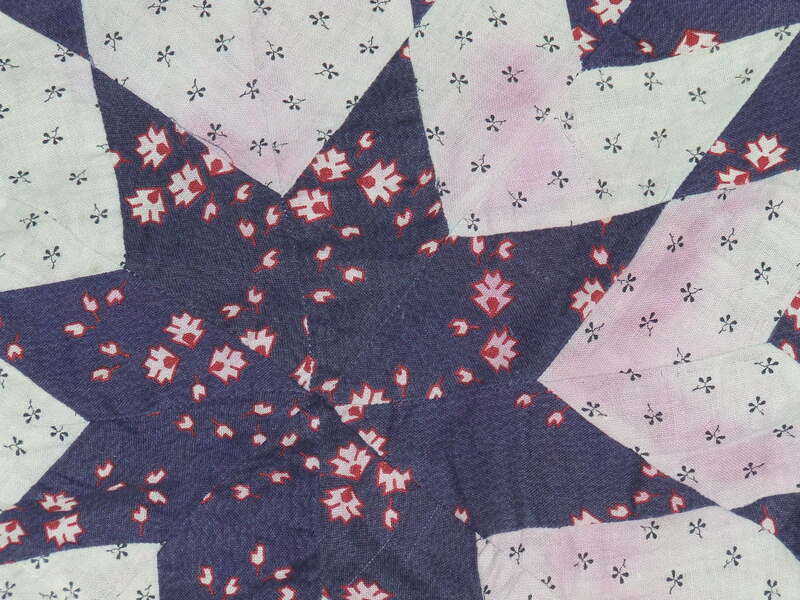 This entry was posted in Quilts and tagged antique quilt block, antique quilt top, Quilting, Quilts. I love that pattern – “Churn Dash” is the name I know it by. 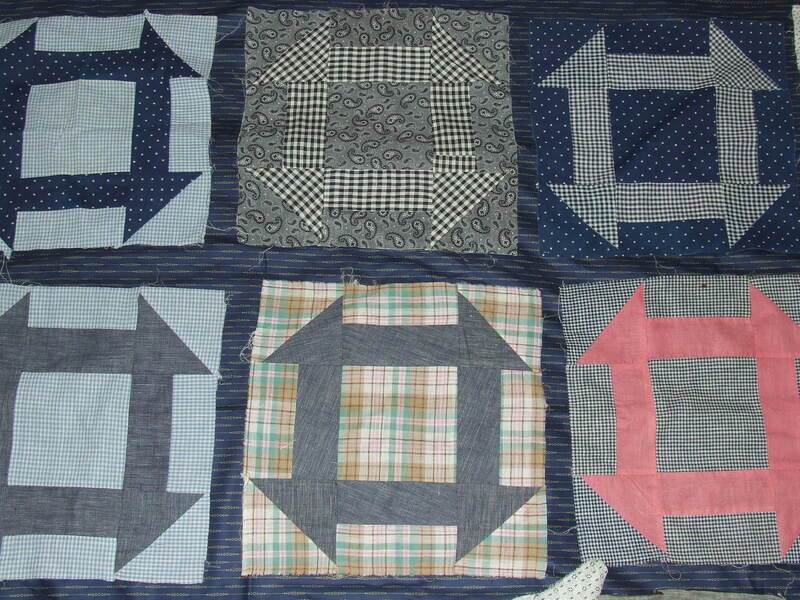 Those blocks will make a great quilt! 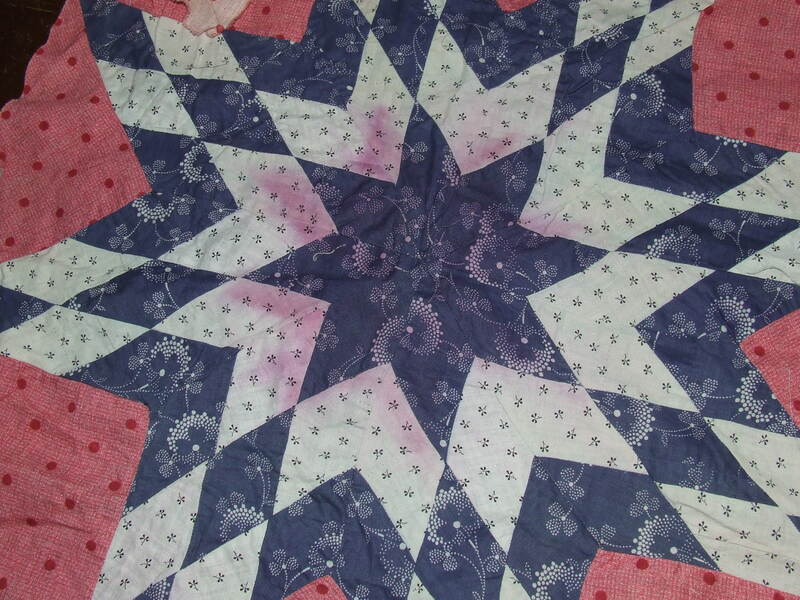 ….and good luck with the bleeding star quilt; looks like you’ll be using a whole bottle of synthrapol for that one. 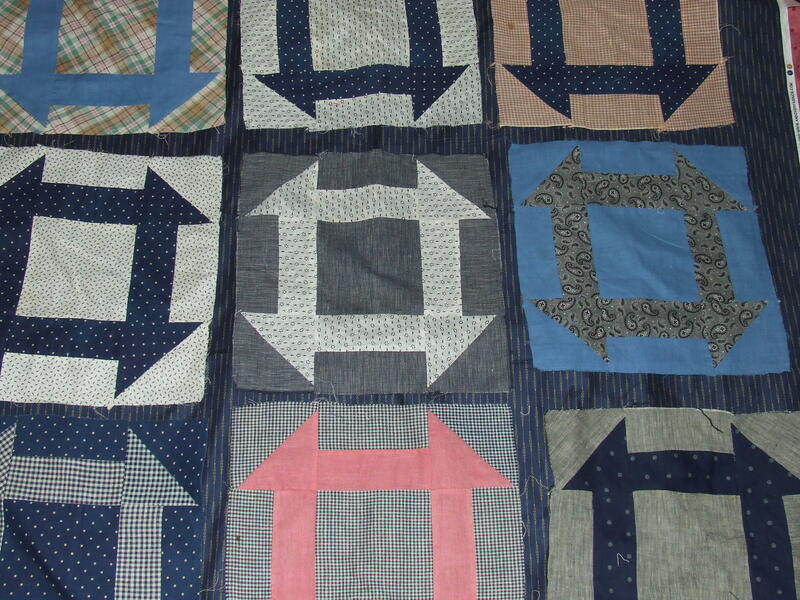 They are great blocks….I love the simplicity of the churn dash pattern…It is just perfect for the fabrics! I don’t know if it will take an entire bottle of synthrapol….but It is going take a good amount! Hi Tim, before you put that “bleeding” quilt in to soak, you might want to drop in a couple of dye catchers….and “oxi-clean”. Another option instead of the synthrapol…I have tried this and it worked for me. I’d hate to think that it would run even more. Good luck. I am sure it will be a beauty when finished. Oh, wow! That’s what I would call Christmas in July! Beautiful! perfect!…I think I will call it the Christmas in July quilt! So glad the blocks arrived and that you are happy with them! And I will watch to see what you do with them- your list is getting longer. In the fall I gather up what I want to work on-gather up supplies-needles spools of quilting threat etc and then hope to get snowed in! Loved your latest purchase! 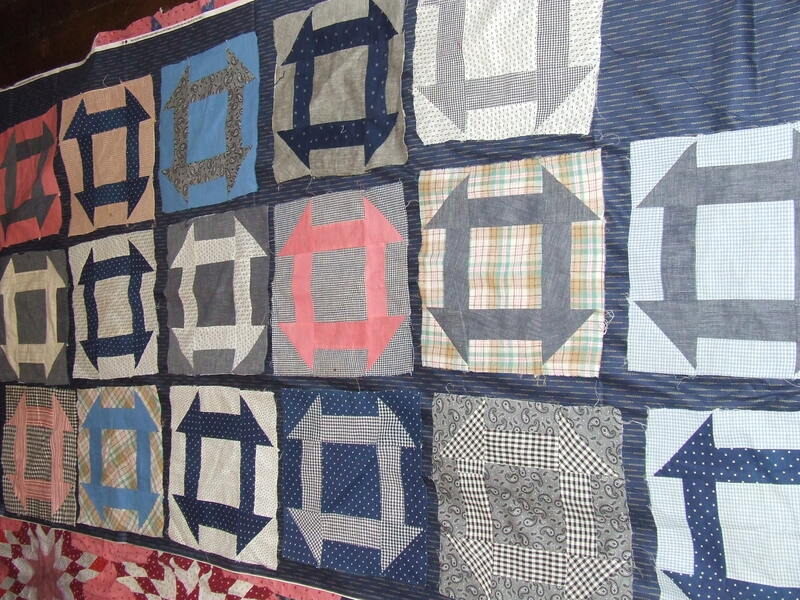 Oh dear, people offering quilt blocks to Tim — was there ever any question he would take them? That’s like free crack to an addict! What a lovely gift you received! The blocks are beautiful. So happy you are the recipient of such kindness, you are such an inspiration! love your churn dash blocks–great gift! congrats on your 250th post too! Thanks Audrey… they were a great gift! What a fabulous gift you received — and what a perfect home they’ve come to. I can’t wait to see the quilt they’ll become. 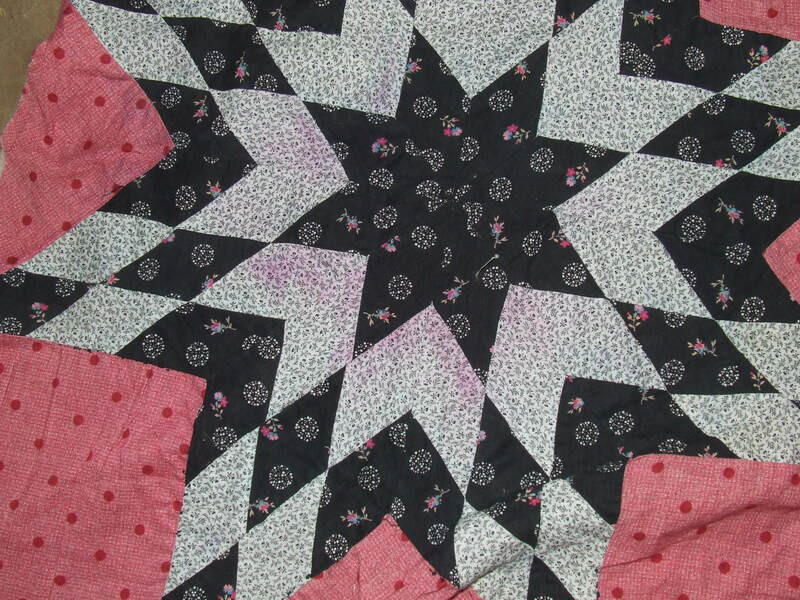 Your star quilt is beautiful — I hope the bleeding comes out.